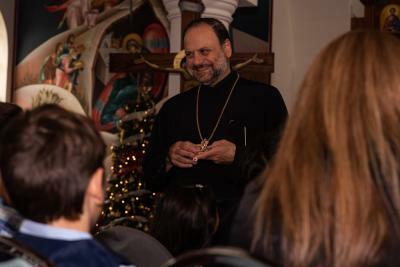 Toward that goal he encouraged us to go beyond our parish community by attending the Diocese’s revised schedule of gatherings such as the Winter Retreat and other retreats planned throughout the year, including the annual Parish Life Conference. His message resonated with many of us, and as a consequence many more people than normal registered to attend in late January the Winter Retreat in Atlanta. Thank you, Sayidna, for your encouraging words.